If you are ever looking for a classic and luxurious handbag with quality to last you a lifetime, look no further than the handbags worth a real Queen, the ones so often seen on the hand of Her Royal Highness Queen Elizabeth. Worn to main state appearances including wedding of Will and Catherine, the Duke and Duchess of Cambridge(below left) those handbags made to order by British designer brand Launer have become Queen’s go to accessory. And now the classic collection that featured leather handbags in traditional colours with gold hardware is expanding its palette to feature bold fashionable colours that are likely to attract a much younger hipper customer. Indeed I would not refuse one of these myself, how lovely would it be to have one in, say, pink to take with you to afternoon tea with the girls or dinner with partner’s family. 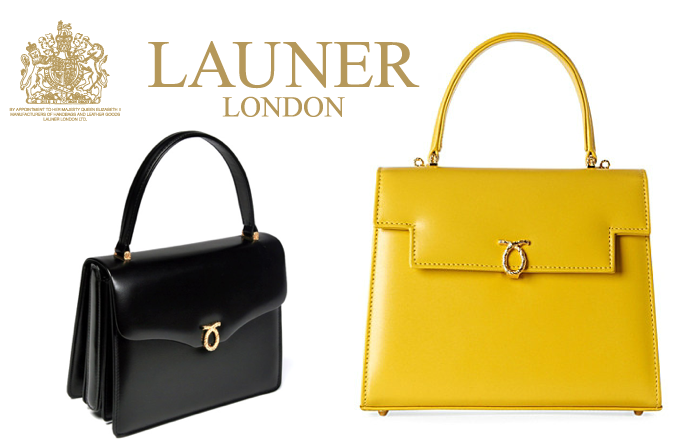 So yes, thanks to completely revamped colour collection, Launer is landing itself on My Fashion Wish List, and I think I am not the only one to want a handbag adorned with royal nod of approval. The only problem – most Launer bags are still made to order and will take 2-3 weeks to be delivered to your door, so plan your purchase in advance. 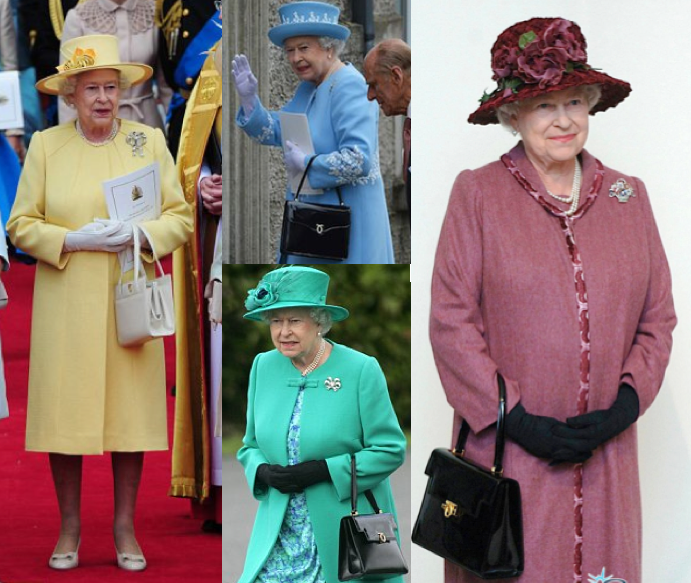 Take a look at the classic range here with styles worn by the Queen starting at £1020, the new range will appear there shortly. You are currently reading The Queen Of Handbags at MY FASHION WISH LIST.